The Minneapolis hip-hop artist plays The Waiting Room May 2. 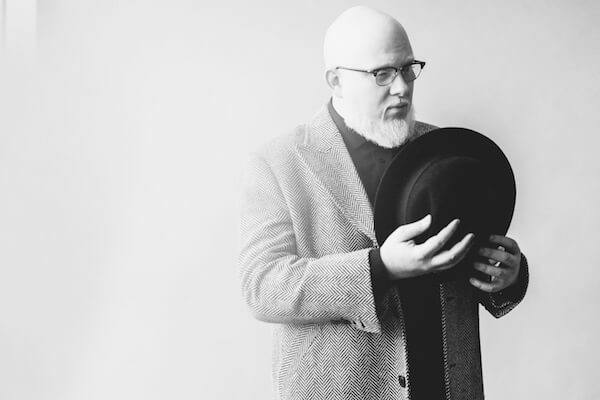 When it comes to performing, Brother Ali practically has a second home in Omaha. The Minneapolis native who is part of the world-famous Rhymesayers collective has been touring through Omaha for almost 15 years, bringing his unique brand of social justice-themed hip-hop to an always-eager fan base. Ali’s new album, All the Beauty in this Whole Life (out May 5 on Rhymesayers) is said to capture “an American Muslim rapper digging deep on themes of compassion and virtue.” He wrote much of it during last year’s presidential campaign, before the election. I can only imagine how he feels 100 days into a Trump presidency. Brother Ali: There are hundreds of albums I could mention, but I listen to A Love Supreme by John Coltrane almost every day. No matter what space or state my heart is in, no matter who I’m with, that album improves everything. It heals when things are bad and illuminates when things are beautiful. Okay this isn’t a bad song by any means, but “Royals” by Lorde is still stuck in my head from 3 years ago and I never sought it out. I watched the video once and popular culture kinda took it from there. Didn’t feel like I had a choice in the matter. Traveling and pursuing dreams alongside other people gives you a real window into each other’s hearts. I feel like I really know the people I’ve toured with in an intimate way. Hours and months of conversation, and witnessing each other is really beautiful. Hours and months stuck with other people!!! I love a really specific scent called Oud. It comes from a tree in southeast Asia, it’s very rare and expensive, but it smells like heaven to burn in a room or wearing the oil on my body. I’m legally blind, so smell has incredible impact on my state. Okay, this is gonna sound like I’m pandering because I’m talking about your town, but I’ve always had a dear relationship with Omaha. It was the first city outside of my home in Minneapolis to overwhelm me with love on stage. I’ve worked with the same independent promoter for almost 15 years. There are people in the crowd I’ve grown up with. I was asked to do a benefit concert out of state for a friend of mine and the promoter was a homie who’d never thrown a big show before. Instead of a hotel, she figured I could “crash” at one of their friend’s houses. The friend we were raising money for didn’t show up. She wasn’t in the business of promoting concerts, so the fans didn’t get the message, and the show was almost empty. I found out afterward that she’d made the decision to print expensive commemorative posters for the show — a LOT of them, and as a result we hadn’t raised one dollar for the friend we were benefiting. Everyone was too drunk to drive me back to the crash pad and this small town didn’t have cabs or Uber. I ended up spending the night outside the locked airport waiting for them to open the next morning so I could catch my flight home. I’ve been supporting a family of 4 (including a wife in private grad school) since 2002. I’ve been focused on music since I was 7 years old, and had honestly pursued it since grade school. I’m fortunate enough to have a small, but respectable following across the country and around the world. I put an album out every few years and spend the next year touring and selling merch. I usually spend the next year doing colleges, festivals and spot dates while making the next album. I’m also able to pursue my cultural and spiritual interests traveling the world on my time off. I’ve always been a teacher and preacher. If music wasn’t so prevalent, I’d do those full time. I know Malcolm X lived there. My favorite story is one of my own. In 2009 we played a show where there was one fan who was clearly waiting to be the last one to talk to me. I have a habit of standing in the crowd for hours talking to everyone. He kept drinking while waiting and got hammered by the time we got to speak. Even though he stumbled through it, I was happy to see him. He’d been to every show in Omaha for several years. When we were done talking he left, about 5 minutes later we hear a loud crash outside. We run out to find our drunken fan had gotten in his car, tried to drive home and smashed into the trailer attached to my tour van. Wrinkled it up like a soda can. A cop came and I couldn’t believe it, but they let him drive home. When I came back to town a year later, I told the story from stage and asked if he was there that night. It got quiet in the room and someone yelled “he’s in jail!”. Not sure whether or not it’s true, but it was hilarious. I hope the guy is well.